"Dr. Totten made us feel very comfortable and at ease. I would recommend her to everyone!" "Very professional, honest and easy to talk to." "Excellent ENT. She really knows her stuff!" From sinusitis to hearing loss to a tonsillectomy, ear, nose, and throat problems are best handled by a specialist. In Anchorage, Alaska, your ENT needs will be best cared for at Aurora ENT. The providers at Aurora ENT - Dr. Mary Totten - is not a conveyor line doctor running people in and out as fast as possible. She believes that maintaining a schedule that allows ample time with each patient is key to positive, successful patient-doctor relationships. Aurora ENT provides every patient with all of the information they need about their diagnosis, treatment plan, recovery, and insurance coverage. Dr. Mary Totten, MD, founded Aurora ENT to provide more compassionate and comprehensive care to her patients. 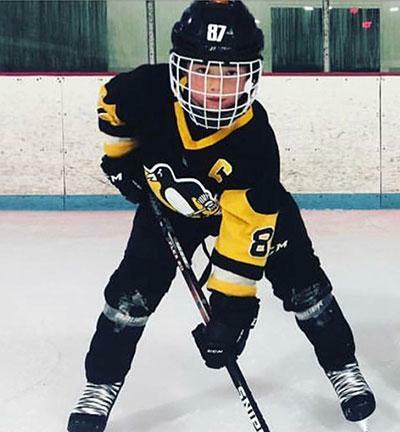 Aurora ENT, LLC is proud to sponsor Roman Marcotte in achieving his hockey goals! Please contact our office for more information about our insurance policies. "Dr .Totten took care of my daughters tonsillitis she was great ,and my daughter healed fast." "Dr. Totten was my first choice when we needed an ENT MD for our daughter. She has a great attitude and just takes care of things that need management." "If it's after hours I always get a call back from the doctor. She is truly the most loving, kind person. I trust her. Thank you to the whole office."